Stormwater management is a key aspect of many operations. The effective planning, maintenance, collection, and movement of stormwater is essential to the site’s ongoing success. This makes the right partnership with stormwater management companies near me crucial for property owners. Permitting The National Pollutant Discharge Elimination System (NPDES) is a major player in the regulation of stormwater management in the United States. Regulations set by this system guide permitting practices throughout the nation. Those who wish to develop or use land must obtain the proper permits from the NPDES.Stormwater management companies near me offer the preparation of appropriate NPDES permits. The company can perform stormwater sampling and reporting to comply with NPDES standards and obtain the necessary permits to move forward with operations. SWPPP Stormwater management companies near me can develop Storm Water Pollution Prevention Plans (SWPPP) that align with construction or industrial activity requirements. A thorough, accurate SWPPP will ensure adherence to regulation requirements and provide ongoing success for the property’s stormwater management.When providing a SWPPP, stormwater management companies near me will include details on the facility or property operations, the drainage areas, and surrounding properties. The SWPPP will provide a detailed approach for managing storm water controls. Goals will include reducing potential contaminants that could discharge from the subject property and pollute nearby tributaries. The development of the SWPPP will include property mapping, control methods, pollution prevention procedures, sampling, and record keeping. Local Experience Local knowledge about the unique challenges and environmental conditions of Cleveland can provide invaluable insight for stormwater management companies near me. A local company also offers familiarity with the region’s regulatory bodies and their requirements for stormwater management. Further, the firm’s proximity allows them to offer in-person meetings and expedited services, to be there when their clients need them. Cost Reduction A partnership with stormwater management companies near me can result in significant savings over time. When not managed properly, stormwater can generate heavy costs that eat away at a company’s bottom line. Flood damage is a common consequence. The resulting damage to land, structures, inventory, and operations adds up quickly. On top of these costs, companies may face fines from regulatory agencies for non-compliance.Stormwater management companies near me allow organizations to avoid these expenses. With the proper systems in place, unnecessary costs are eliminated and the bottom line moves up. Quality Increase A good stormwater management plan results in cleaner water. This environmental advantage benefits companies by improving site conditions, team morale, and PR. The overall quality of the company is increased simply by taking advantage of the services offered by stormwater management companies near me. The best stormwater management companies near me can provide services from start to finish. It’s difficult to know exactly what services you will need in the early stages of a project, so look for a firm that is proficient in all areas of stormwater management. This will ensure seamless services that address all areas efficiently and cost-effectively. Top stormwater management companies near me use proven testing, permitting, and submission methods that result in a significant number of project approvals. Look for a company with a track record of success. This partnership is critical to your future operations, so don’t settle for less than the best. Local: ENVi Environmental brings more than 30 years of local experience to every project. Our reports are based on our comprehensive knowledge of the regulatory requirements in Cleveland. 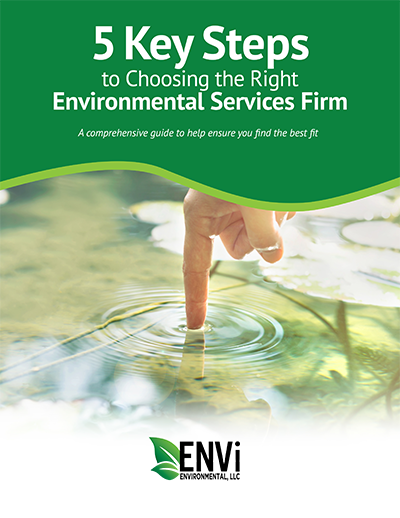 Comprehensive: ENVi Seamless is ENVi Environmental’s suite of services that includes all environmentally-related offerings. Our ENVi 360™ Solution covers the full spectrum of services for your project. Successful: ENVi Environmental provides consistent, detailed methods that result in a high approval rate for the projects we submit to regulatory agencies. With our extensive experience working with regulatory agencies and our in-depth understanding of industry standards, we offer a near-perfect record of achieving successful approvals.